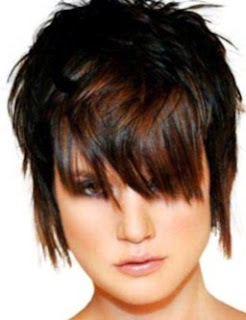 This Fall/Winter add a little accent color to a bang/fringe making it the color focal point in the style, and whether there blunt bangs, side-swept bangs, choppy bangs, wispy bangs it all looks just as fabulous when colored. 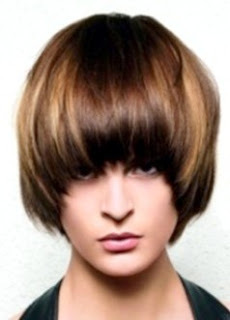 And what could be more fun than getting vibrant color or any color on your bangs, which could instantly perk up any style, they also are easy to get, maintain and get rid of. 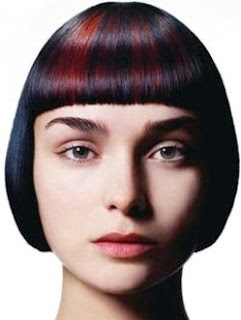 Colored bangs can be darker or lighter tones, bold or hidden (peek-a-boo) all depending on the effect you want to radiate, and there great for a hint of change since these can be matched with all types of lengths and cuts. 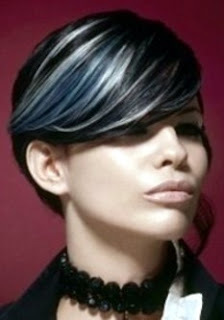 From short to medium, blunt cut and razored almost all hairstyles are perfectly complemented by this accessory. So get inspired create a personal statement hairstyles, the key to stealing the show is indeed wearing your bangs/fringe with great confidence. love the browns and golds, and when done right it's a great statment. is backcombing the best way to achieve some of these looks?